With Medicare Advantage plans only gaining in popularity—a recent report in the Milwaukee Journal Sentinel said that 17.6 million people are enrolled in one this year, triple the amount from 2005—a closer look is warranted. A large part of their appeal seems to stem from their comprehensiveness. Medicare Advantage covers all Medicare services. (There is a lone exception. More on that in a moment.) You’ll get your Part A (hospital insurance) and Part B (medical insurance) through the Medicare Advantage plan, not Medicare. Most plans also include Part D (prescription drug coverage), as well additional coverage, like vision, dental, hearing and health and wellness. In addition to your Part B premium, you’ll typically pay a monthly premium for the Medicare Advantage plan. Medicare Advantage plans can also choose not to cover the costs of services that aren’t medically necessary under Medicare. In which case, you’ll be responsible for them, but you also have the right to appeal. And you can request a written “advance coverage decision” from the insurer. Out-of-pocket expenses can vary among Advantage plans, and they typically run higher than they do with Medicare. (There is a yearly cap on out-of-pocket costs for medical services.) And if you visit a doctor, a health care provider, a facility or a supplier from outside of your network, the costs may be higher and the insurer may choose not to cover the services, which makes it critical that you live in the service area of the plan you join. Still, providers may leave a given network anytime. And your insurer can move away from providers within its networks at any time. But most Advantage plan enrollment terms usually last a year, so you may need to find a new provider at some point. To begin a cursory review of Medicare Advantage plans by insurer, visit our Applications page. 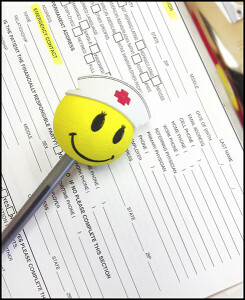 As questions arise or you begin to consider a Covered California plan and enrollment, contact us for a free evaluation.